Futurist Art or Futurism was an artistic and social movement that originated in Italy in the early 20th century. It emphasized and glorified themes associated with contemporary concepts of the future, including speed, technology, youth and violence, and objects such as the car, the aeroplane and the industrial city. 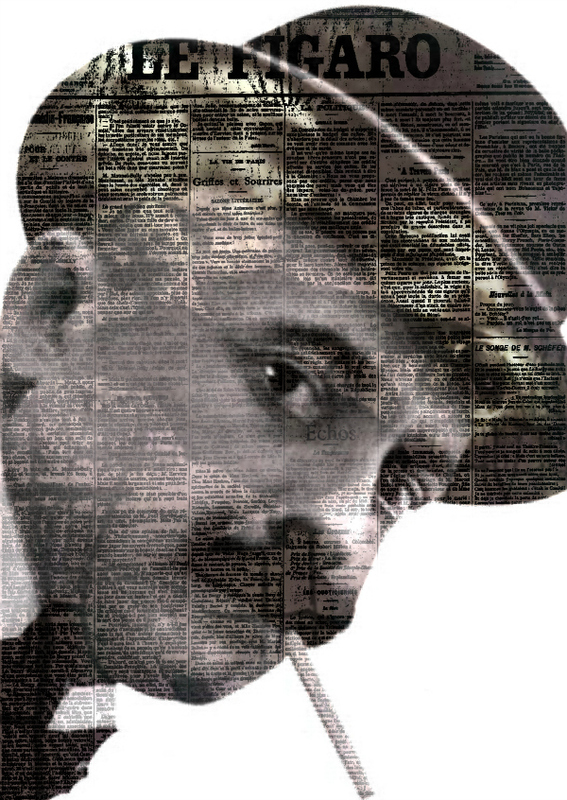 You can’t speak of Futurism without mentioning Filippo Tommaso Marinetti. 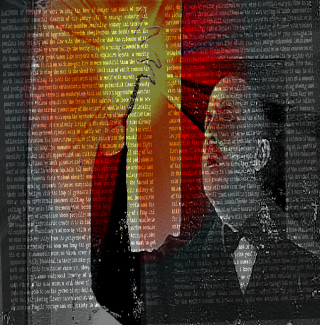 Marinetti was an Italian poet and the founder of the futurist movement. 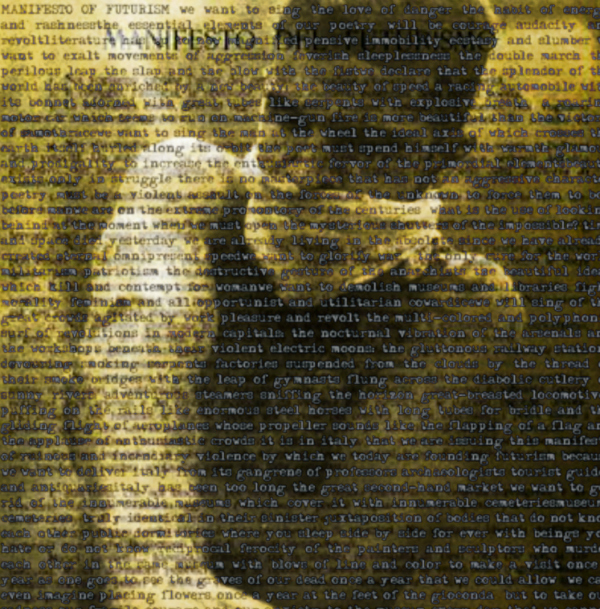 After writing the Futurist Manifesto, Marinetti proclaimed that a celebration of speed, machinery, violence, youth and industry must take place. The manifestation of progress was a big thing for Marinetti, he felt strongly about the modernization and cultural rejuvenation of Italy. Marinetti might have gone off course with fascism founding the Futurist Political Party in 1918. His fascist period didn’t last long, Filippo walked out of politics in 1920 with disgust. The Futurists were fascinated by the problems of representing modern experience, and strived to have their paintings evoke all kinds of sensations – and not merely those visible to the eye. At its best, Futurist art brings to mind the noise, heat and even the smell of the metropolis. Unlike many other modern art movements, such as Impressionism and Pointillism, Futurism was not immediately identified with a distinctive style. Instead its adherents worked in an eclectic manner, borrowing from various aspects of Post-Impressionism, including Symbolism and Divisionism. It was not until 1911 that a distinctive Futurist style emerged, and then it was a product of Cubist influence. The Futurists were fascinated by new visual technology, in particular chrono-photography, a predecessor of animation and cinema that allowed the movement of an object to be shown across a sequence of frames. This technology was an important influence on their approach to showing movement in painting, encouraging an abstract art with rhythmic, pulsating qualities. Futurism and its Futurist art have long been a part of modern culture, expressed before Marinetti and long after. Futurism will continue to advance into the future because it’s in our nature to look forward. We are encouraged by invention and advancement, we need to know that things will only get better. We leap great strides in the face of adversity and even more when given to peace. I admire the initial idea of Futurism but I am intrigued by the artwork it produced. 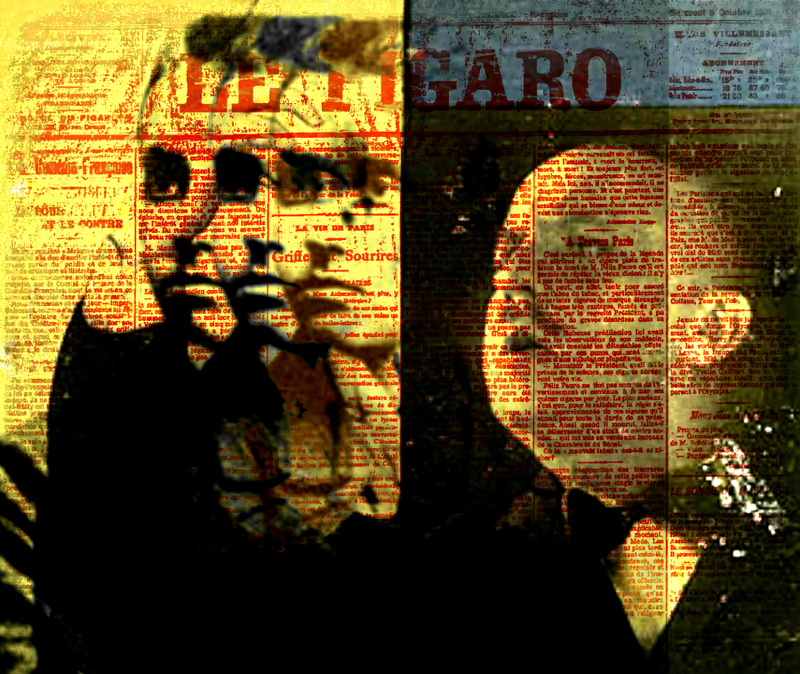 The featured artwork above Le Figaro Futurist, above right Marinetti’s Future right Futurism Manifesto by artist Mary Clanahan.